Elektratig: Was the Compromise of 1850 a Good Thing or a Bad Thing? Was the Compromise of 1850 a Good Thing or a Bad Thing? In defending Millard Fillmore’s performance in helping to engineer the Compromise of 1850, I have encountered flack on several occasions. The objections do not focus on Millard or the efficacy of his efforts. Rather, the complaints are, in effect, that the Compromise was a Bad Thing, not a Good Thing; therefore, Fillmore should be blamed, rather than praised, for his actions. The proposition that the Compromise was a Bad Thing, in turn, appears to rest upon two assertions. First, if the North had held firm, and not appeased the South, the South would have capitulated. There would have been no war, and indeed, a firm, uncompromising position might have utterly discredited the proto-secessionists, eliminating the threat of war in the future. In short, if the North had not caved, not only would there have been no war in 1850-51, there might have been no war in 1860-61, or ever. The second sub-assertion is that, even if war would have resulted, well, that was a risk worth taking. The North defeated the South when the South foolishly seceded in 1860-61, and the North would have won if the crisis had come to blows ten years earlier. Both of these are, in effect, “what if” questions, and as such not susceptible of definitive response. Nonetheless, I’m in the midst of rereading David M. Potter’s The Impending Crisis, and I’m sure that I can do no better that he in discussing these issues. (Also, I’m sure that Professor Potter’s opinions are far more persuasive than mine.) So here, brief, is Professor Potter. No historian can declare with certitude [whether war would have resulted if the North had held firm]. What then can he say? He can say that in 1832 and again in 1861, people also faced crises in which some thought the danger of disunion was exaggerated, that it would die down if firmly handled and not encouraged by “appeasement.” In 1832 this proved at least partially right, though concessions were certainly made; in 1861, it turned out to be wrong. Were the dangers of 1850 more like those of 1832 or of 1861? In my opinion, the evidence, on balance, indicates that by 1850 southern resistance to the free-soil position was so strong and widespread that if the Union were to be preserved, the South had either to be conciliated or to be coerced. It is true that disunionists in the South began to lose ground to the southern moderates long before the Compromise was enacted, but I believe this was because compromise was confidently expected and the South distinctly preferred compromise to disunion. 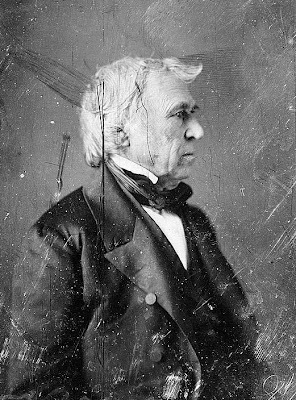 If [Zachary Taylor] was wrong, his policy would have forced the North to face the supreme test of war for the Union before it had attained the preponderance of strength, or the technological sinews, or the conviction of national unity which enabled it to win the war that finally came in 1861. [T]he decade of delay was also a decade of growth in physical strength, cohesiveness, and technological resources which enabled the Union to face the supreme challenge far more effectively. Even as for antislavery, it is difficult to see that the Compromise ultimately served the purpose of the antislavery idealists less well than it served those who cared primarily for peace and union, though it is easy to see why antislavery men found the medicine more distasteful. If, as Lincoln believed, the cause of freedom was linked with the cause of Union, a policy which dealt recklessly with the destiny of the Union could hardly have promoted the cause of freedom. Anyone that criticizes Fillmore (or any of the Northern Democrats and Southern Whigs supporting it) needs to be prepared to defend the entire range of contingent outcomes, and not just the "good" outcome they would wish for. There are many plausible counterfactual outcomes, and several of them are not so good. My guess is that South Carolina may have seceded in the early 1850s had the North been more aggressive and less compromising. I do not think SC would have been able to entice GA, AL, or MS to follow at that time. Neither do I think these states would have participated in or allowed SC to be "coerced". After that.... ? I shot you an email with regards to Bruce Chadwick's 1858 and I wanted to let you know here as well in case it did not get through. I recently reviewed that book and I wanted your recommendations for other, better books about slavery and the 1850s. The Wilmot Proviso 4: "God forbid"